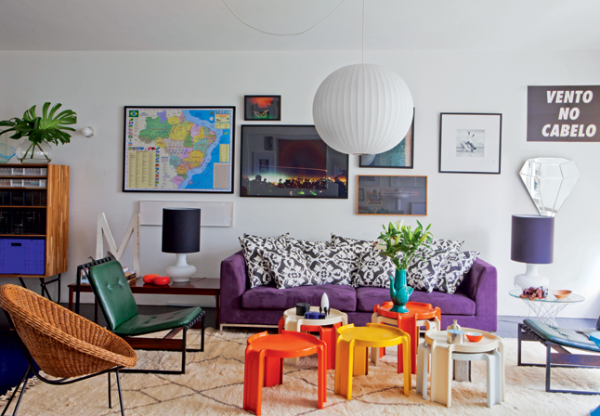 Dear color fans, this post is dedicated to you. 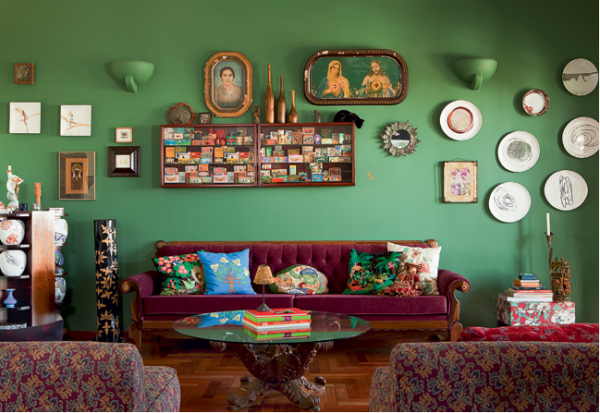 We’ve gathered a small collection of colorful living rooms that we can’t wait to share with you. 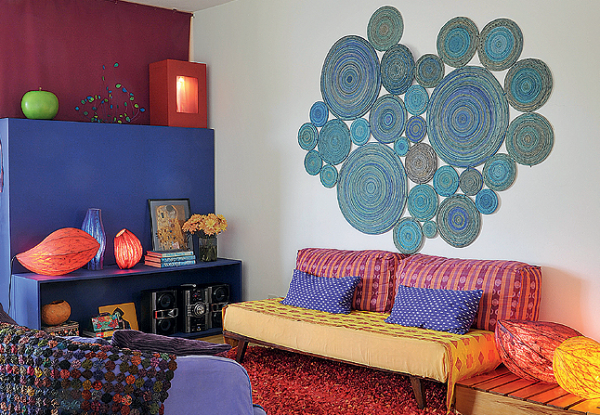 Some of the designs include a single vivid color, while others the entire palette. 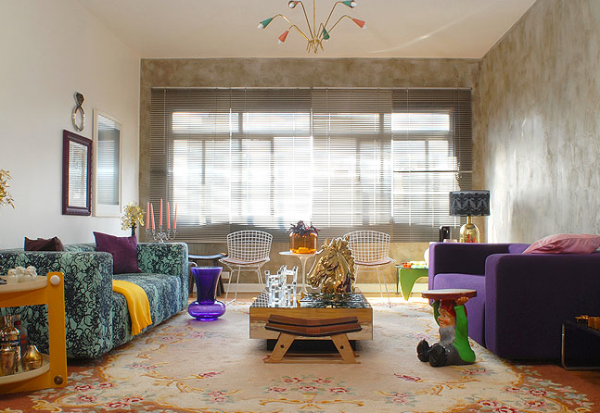 The living room is the place at home where you can show your creativity, a place that is meant for entertainment and socialization. 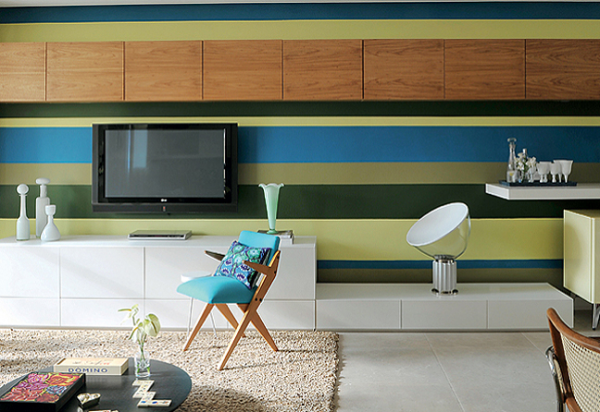 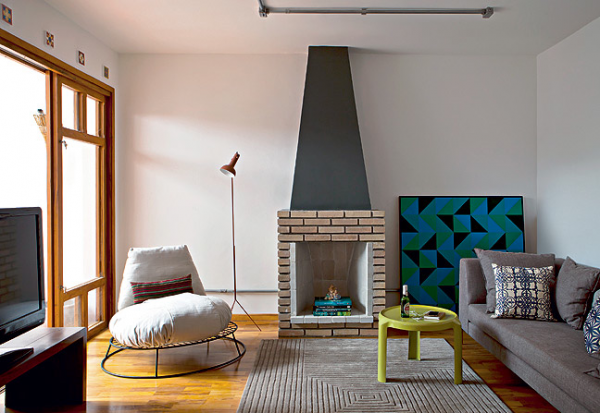 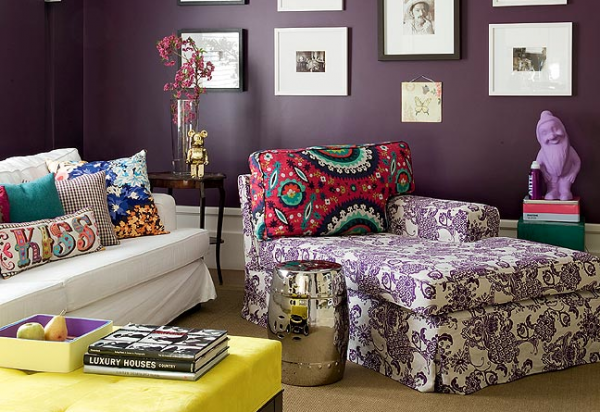 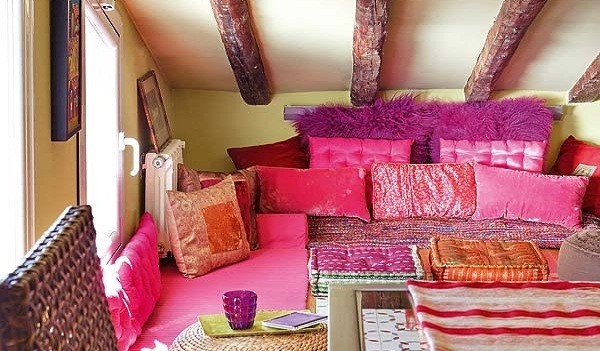 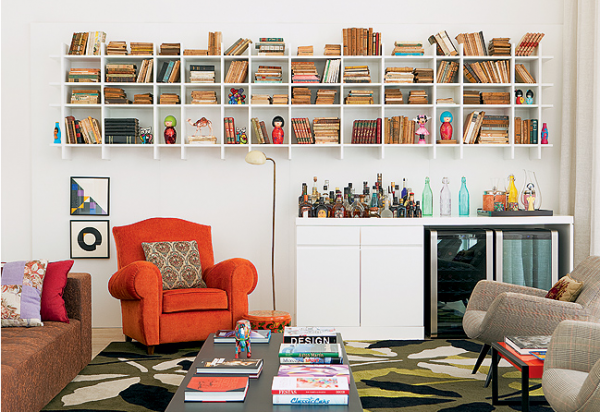 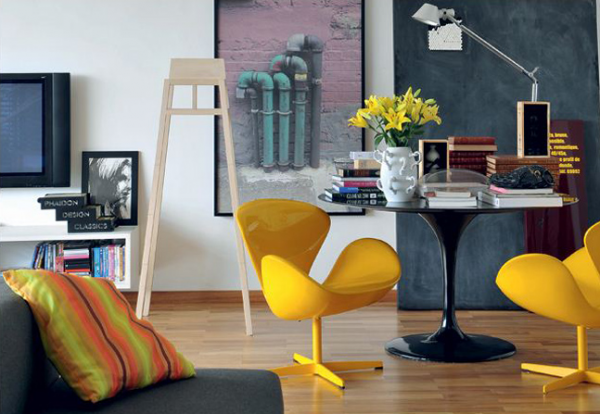 So, be bold and design your living room in your favorite color combinations! 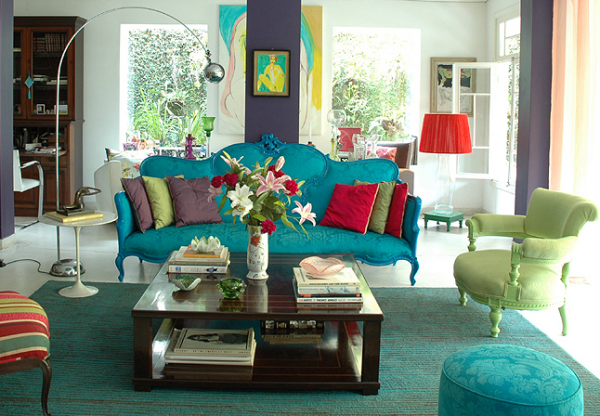 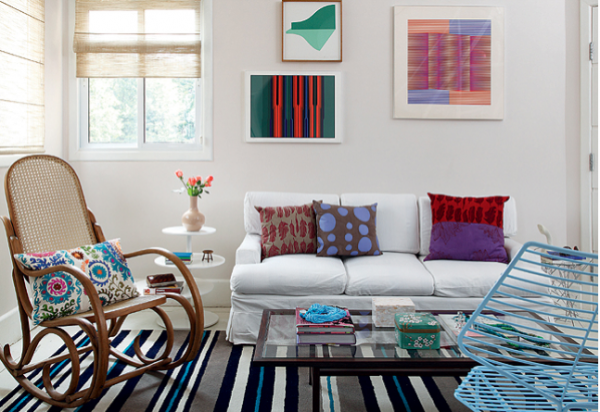 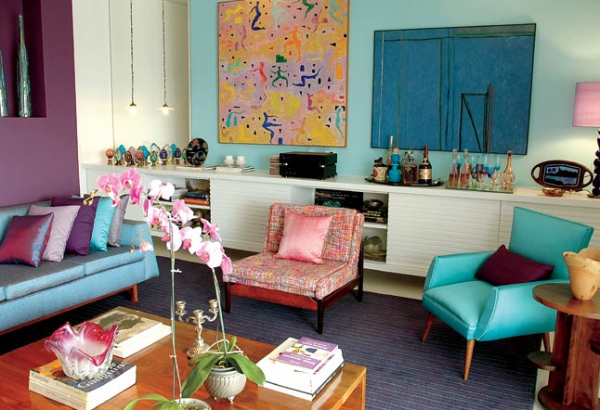 We offer you 14 colorful living room designs that you’ll surely find useful.